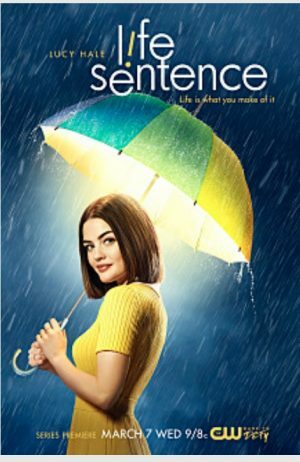 From the network that brought us a number of heartwarming shows like Privileged (2008-09), Life Unexpected (2010-11), and No Tomorrow (2016-17), comes this sweet, touching, yet thought-provoking new dramedy Life Sentence. Let’s hope this show outlasts its predecessors! Stella (Lucy Hale) was diagnosed with cancer when she was 15 years old. Thanks to her family’s inexhaustible support, she lived like there was no tomorrow. She even got married to a total stranger she met in Paris, the birthplace of love. After eight years of living life to the fullest, Stella finds out she is cured. She believes everybody would be elated at this best news ever, but to her dismay and astonishment, the ‘perfect family’ falls apart in front of her eyes. The rug has just been pulled right out from under her. Now what? Life Sentence explores a family lucky enough to beat cancer yet faced with its grave repercussions. Stella was clueless about all the sacrifices and compromises the ‘perfect family’ had made to give her a better shot of beating cancer. They were advised not to share anything negative with her. Some doctors believe in the mind-body connection, I take it. That makes sense, but Stella feels guilty about breaking up the family. Who would have thought? Years of lying that everything was hunky-dory have definitely taken their toll on her parents and older siblings. “She did live in a fantasy world. Her family tried to give her the best last years of her life. So you later find out that her family’s about as dysfunctional as they come,” explained Hale at the press conference held earlier this year. It’s also about this young woman whose development was arrested in her teens; she is totally unprepared or unequipped to face the post-cancer harsh realities of life. “The show is about Stella finding out who she wants to be in the world, because she was living like she was dying. Now she has to live like she’s going to live. Who does she want to be? What are her dreams? What are her aspirations? Does she want to stay married?” Hale expressed her passion for the character she decided to play. Starting over, no matter what kind of losses or ordeal you’ve survived, is no day at the beach. I used to tell myself “there is life after divorce” over and over again. I also know how hard it is to reinvent oneself. Good luck, Stella. Now you must change. My advice to you is to eradicate the three lethal words from your mind: perfect, forever, and guilt. Nobody is perfect. Nothing lasts forever. Guilt is a wasted emotion. Changes are inevitable. Charge ahead and you’ll do fine. I’ll laugh and cry with you on your starting over journey! Life Sentence premiered on Wednesday, March 7, 2018 on The CW. Meg Mimura is a TV critic who actually watches shows zealously in search of human drama worth watching. She is a member of Television Critics Association as well as Academy of Television Arts and Sciences.